Instant Pot® is probably your favorite kitchen appliance but there are some things that you need to know before using this America’s favorite pressure cooker. Did you buy the amazing Instant Pot® that everyone has been raving about? Did you read the manual? Great! So now, you’re all set and ready to whip up nutritious meals for your family, right? Well, not so fast. Like everything in life, things can be a bit tricky at times. So to help you avoid the make mistakes like I did, I wrote these ten things you need to know about the Instant Pot. But before you do, let me tell you how much I love my Instant Pot, fondly called IP from now on for this post. In an instant – pun intended – IP made my stove top and oven very lonely. Since I started cooking in IP, I’m thinking, “How fast can I make this in my IP?” when I see a recipe. And when I see a bowl or a plate, “Can this fit inside the IP?”. I try to cook everything in my IP and I push the envelope a bit in starting dinner at the last minute as possible since IP cooks everything faster and juicier. Just in case you didn’t know, I bought IP because I wanted to change out of my Teflon coated Rice Cooker since IP inner pot is made of stainless steel. Well, I started cooking all kinds of yummy dishes that I had to buy a second inner pot for mild flavor foods and to cook without cleaning out one pot to start another dish. Anyway, my newest kitchen toy is amazing and I know you’ll love it too. So without further ado, here are my ten tips that I want to share with you so you will learn to love it too! 1) QR (Quick Release) – this is a term you’ll see in manuals and recipes and it literally means you are manually releasing the pressure quickly by your turning the vent valve located on the top of the lid to “open”. When do you use it? The rule of thumb is to use this for veggies (unless you’re making baby mush food), non-foaming foods and if your pot is NOT filled up to the Max. I also use it to add ingredients in the middle of cooking, i.e. veggies for Beef Stew and then continue to cook until done. Cover the vent with a towel to diffuse the strong pressure of steam or anything else that might come out. Turn the valve slowly and close it quickly if you see sputtering of food. Slowly open it little at a time until the force is less. Be smart about it and use caution. Use tongs if you are nervous handling the valve. Otherwise, food will sputter out through the vent and you and the wall will be redecorated…not necessarily in the color of your choice. 2) NPR (Natural Pressure Release) – this refers to letting the pot naturally release pressure. Leave the vent valve alone so it releases the pressure by itself. You’ll know this when you see the silver button go down on top of the lid. This setting is used almost always for meats unless you want dry leathery jerky for dinner. Some recipes will call for “10 NPR”, which means, wait until you see the panel indicate “L0:10” and then you can manually release pressure by opening the vent. Again, start slow when you release the pressure. Rule of thumb for using this method is for meats, foaming starchy foods, and a full pot that’s filled up to the Max line. 3) Need at LEAST ½ C – 1 cup of liquid for the pot to come to pressure. – There are many reasons why the pot comes to pressure different length of time, such as, how much liquid or solid is in the pot. 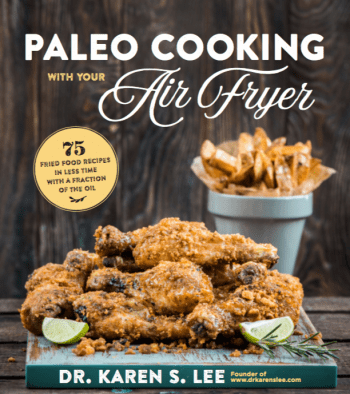 Are you using frozen or thawed ingredients… etc. But in general, ½ tp 1 cup of liquid is all you need. Again, this depends on what you’re cooking. Since the pot needs liquid to come to pressure cooking really dry food for a long period of time will require more liquid. If you’re steaming veggies, you may only need 1/2 cup. 4) Smelly Silicone Ring – odor will stay on the silicone gasket/ring no matter what you do. You maybe be able to take some of it out but not totally. But it doesn’t matter since it probably won’t transfer to the food unless it’s milder -like yogurt or rice – than the previous foods. I bought a second ring for foods like desserts and rice. In fact, after about one year of constant use, I had to buy a new ring for even for regular foods because it stretched out too much. You can find all the ring and all the other accessories HERE. (Amazon Store) EDIT: I haven’t tried this method but the Instant Pot® Facebook Group’s member mentioned trying a denture cleaner to eliminate the odor. If it cleans dentures, I think it just may work! 5) Don’t be fooled by recipe titles. – Cooking times you see on recipes are ALWAYS times AFTER it’s pressurized. Times to become pressurized and to be de-pressurized are not the same for all recipes. They depend on the amount of liquid, amount of food, fat content, and altitude. There are others but these are the most common reasons for variable times. And this happens in ANY pressure cooker, not just in Instant Pot®. So don’t be fooled by the catchy titles, such as “30 Minute Pot Roast in Instant Pot®” or “Instant Pot® Whole Chicken in 30 Minutes”. No, you will not be ready for dinner in 30 minutes if you trust these types of titles for Instant Pot® or pressure cooker recipes. However, if you use the “Saute” feature to brown something, the pot will already be hot and it will come to pressure quicker. But if you start using the pot cold, you’ll have to wait for about 10 minutes or so for it to come to pressure. Just like the recipes for using the oven that does not tell you the time it takes for the oven to come to temperature, pressure cooker recipes also do not add the time to reach pressure or depressurize. 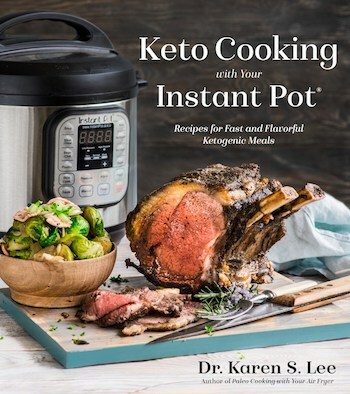 The cooking time in my cookbook, Keto Cooking with your Instant Pot, the cooking time for the recipes are the cooking time after the pot reaches pressure. In other words, it’s the actual pressure cooking time. 6) Choose your pasta carefully. I love cooking pasta in my Instant Pot®. No boiling water in a big pot, using the strainer and then, making a sauce in another pot! It’s a dishwasher’s nightmare! So I love how I can put all the ingredients in the Instant Pot® at once, and walk away until it’s done! But pasta is not created equal when it comes to cooking pasta in the Instant Pot®. Thicker pasta and certain shapes cook better than thin spaghetti or angel hair. I like ziti and penne the best. Lasagna works great too. Add pasta on top of all the other ingredients so it doesn’t stick to the bottom. I usually add sauce, 3 cups of water and then put the pasta on top. 7) PIP – “Pot-In-Pot” method is usually used for foods that don’t have liquids in it, like meatloaf or cheesecake. YES, cheesecake! Place the ingredients in a heatproof vessel (Corningware casserole dish or Pyrex or Glasslock Containers work well) and place it on a trivet that comes with the pot or a steamer basket in the inner pot with about 1/2 C to 1 C of water. You can cook all kinds of fun things in this PIP method. There is Honey Pine Nuts Mousse recipe in the cookbook that’s easy to make and delicious! Grain free and dairy free! 8) Inner Pot – This is the only electric pressure cooker that has a stainless steel inner pot that I know of. There might be others since I bought Instant Pot® but I love the durable stainless steel inner pot. In fact, I have two inner pots so I can cook different foods for a meal. So, I’ll cook potatoes or rice in one while the other inner pot cooks the meat. Always leave the washed inner pot inside the IP with the lid inverted on top. This serves two purposes: you will never make a mistake of pouring food or water down the pot without the inner pot inside (trust me, there are a lot of people who did this so it’s a very common mistake.) And the lid and the silicone ring will air out when it’s placed upside down. 9) Keep the lid and ring clean. – Wash the lid and the ring after you cook. It’ll keep the smell out of the lid and the ring better. Also, clean out any food particles that might be stuck inside the ring. The latter will prevent any possible malfunction, i.e. Not reaching pressure. Not enough food – you are not cooking enough food, like cooking only 1 cup of rice. The sealing ring is loose and the lid is not sealing completely, preventing the pot to reach pressure. If 1) happens, don’t worry. The pot is still hot and your food is still being cooked. Just open the pot and check it. If not cooked, close the lid and try again with less time. (2) can happen if you use the pot to make food for too long. (i.e. two batches of bone broth for 120 minutes each batch.) If the ring stays heated for a very long time under pressure, it’ll stretch out and not fit the lid properly. So you have to shrink the ring by running it under cold water or putting it in the fridge before using it. FINALLY, if you have older models like the IP Lux (Amazon Affiliate Link), or IP-DUO or (Amazon Affiliate Link) Duo Plus , devise a system that will make you remember to close the vent. Trust me, you will forget to close the vent at least once and the first time you hear the hissing sound, you’ll freak out, thinking, you’ve ruined your fancy dish. If that happens, calmly close the vent and be proud that you’ve averted a disaster. Now, go and cook! Make amazing meals!